Laura Marano pretty much has one of the best gift guides of all time if you're shopping for a young woman. The former "Austin and Ally" star has been on a hot streak this year releasing her debut single "Boombox" on March 11, 2016, after getting signed to Big Machine Record Label, and now we're definitely taking her advice when it comes to holiday shopping. From girly favorites like perfume to a female-friendly film, she's included a ton of adorable holiday shopping picks. 1. Love Actually: "There isn't any another movie that gives me the holiday feels like this classic. It's funny, touching, and has an amazing soundtrack." 2. 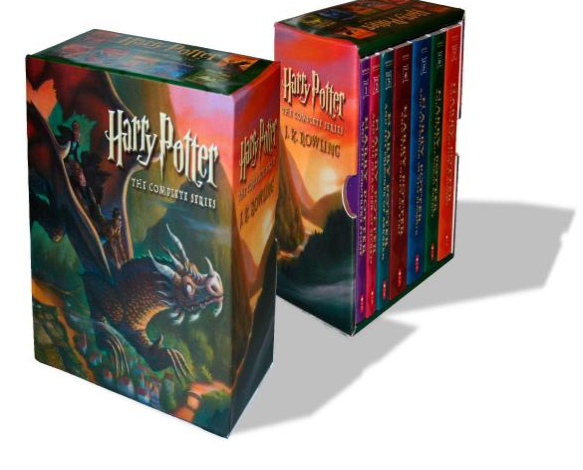 Harry Potter Box Set: Books 1-7: "Maybe it's because the newest Harry Potter story, "The Cursed Child," came out a few months ago; maybe it's because "Fantastic Beasts" hit theaters and made my Wizarding World heart pitter-patter; I feel like there's no better time than now to inspire the world (or just your friends and family) to reintroduce themselves to J.K. Rowling's magical world." 3. Nasty Gal's Kiss Up Metallic Clutch: "I'm always in dire need of statement clutches when I go out, and Nasty Gal never disappoints. Pretty much anything Nasty Gal will make you happy." 4. Society6 Moon Hug by Carbine Throw Blanket: "These blankets are potentially the softest blankets I have ever encountered. Throw in the adorable artwork, and you have a pretty awesome gift." 5. Beltbox Vocal Dampener: "Okay, this gift is a pretty specific type. 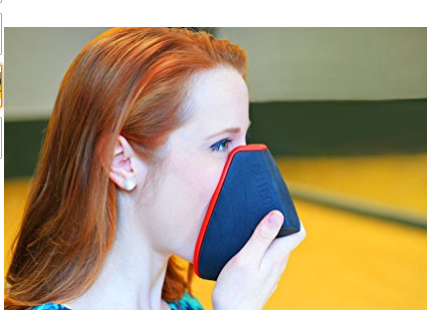 As a professional singer, this device is literally a life saver. If you know anyone who sings and feels bad doing vocal warm ups in a less than sound proof room, the Beltbox is the perfect gift." 6. Laura Marano Fragrance "Love You," "Kiss You," and "Hug You": "I am super proud of my fragrance, and if I do say so myself, it smells pretty amazing. But my favorite part is the packaging because each scent has an Inspire Kindness idea within the box. I wanted to design something that was all about spreading love and kindness, which is really what the holiday season is all about."